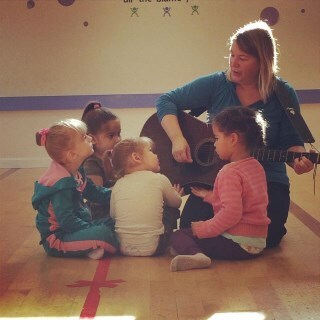 Music is every child's birthright. We're born into this world sensing and responding to rhythm and tone. Our first noises are melodic coos. Bonding with our important adults can be made deeper through lovingly shared lullabies. Beyond our first years, the research is clear – and new studies continue to support – that exposure to and experimenting with music enhances all areas of a child's development. Music is important for its own sake, and what a bonus that all areas of the brain light up when music is experienced. In Music Together's and Canta y Baila Conmigo's well research-based and professionally led classes, families acknowledge this and commit to giving their children every opportunity to develop musically and to have music enhance each child's over-all development. Your child deserves to be given the gift of music - for love, for laughter and for life. 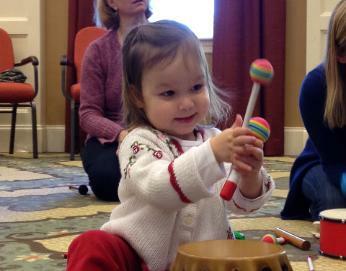 To learn more about what a Music Together class is like, click below to connect to this short video! WELCOME to our classes in ARLINGTON, MEDFORD AND LINCOLN! ... and running - REGISTRATION for our ten-week SPRING 2019 session is open! We'll be playing with the Tambourine song collection - singing Tingalayo! (a fan favorite) and some new songs. We hope you join us! ...and we're just off - There are no classes during the April school vacation week. Looking for a GIFT CERTIFICATE? Send us an email! To learn more about Canta y Baila Conmigo® , click below to connect to this short video!